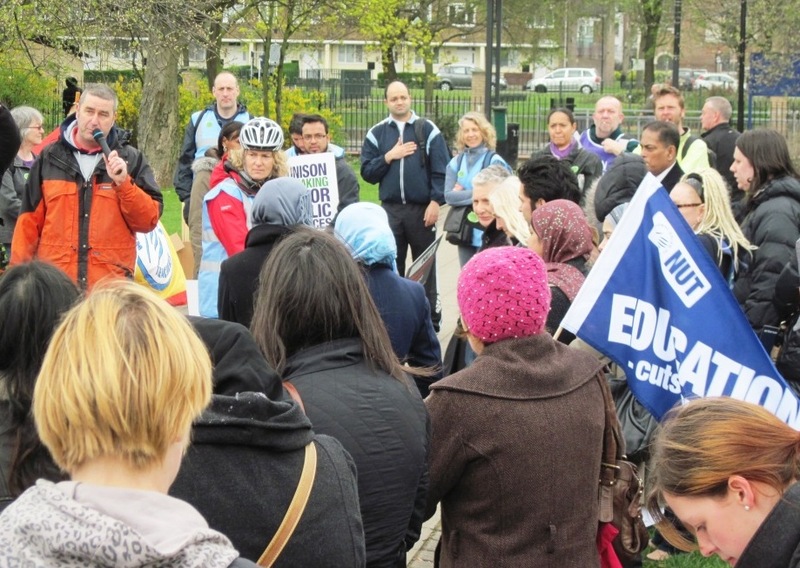 NUT members in Camden and Tower Hamlets took borough-wide strike action today to oppose education cuts. Congratulations to everyone who organised and took part in this solid action. 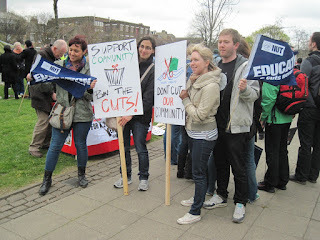 Alongside national action on pensions, these borough-wide strikes have to be built on and developed across the country. Instead of leaving schools and central services to fight cuts and attacks in isolation, today's actions show that we can take united action across Local Authorities. 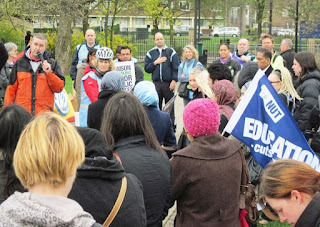 Schools were closed across the two boroughs and students and parents came out to join teachers and support staff on the two local demonstrations. 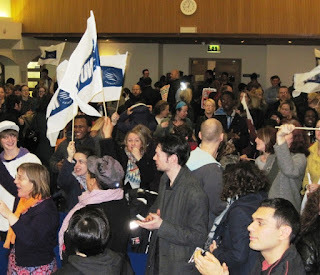 In Tower Hamlets, where UNISON members also took strike action, over 1500 members marched through the borough to a rally addressed by Mark Serwotka of the PCS. In Camden, a demonstration of over 500 marched to Hamilton House, the NUT's National Headquarters. The march finished with a rally including speeches from two General Secretaries: Christine Blower of the NUT and Sally Hunt of the UCU. 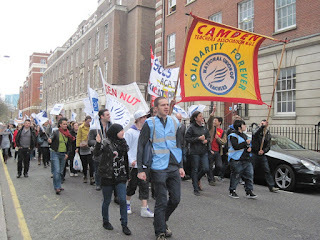 I had the opportunity to speak to both marchers on behalf of the National Executive. I asked members at the Mander Hall rally to look around them and feel their strength, and to remember that inspiring feeling of power from the mass march on Saturday as well. As the cheers rang out and flags waved at the end of the rally, the growing confidence and enthusiasm to stand up to the Con-Dem cuts was there for everyone to see. 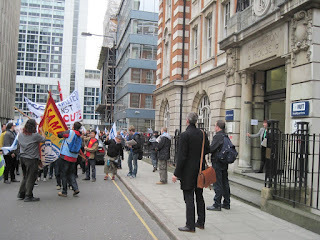 It's clear that, when a lead is given, trade union members are ready to respond. 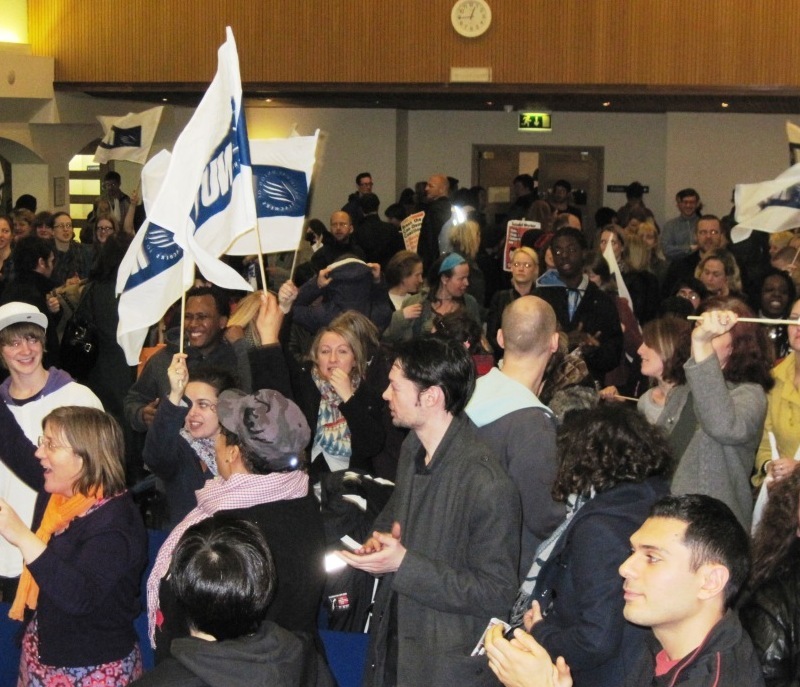 Both Camden and Tower Hamlets achieved 85% YES votes for action - Lewisham NUT has just achieved an even larger majority in a similar indicative ballot. 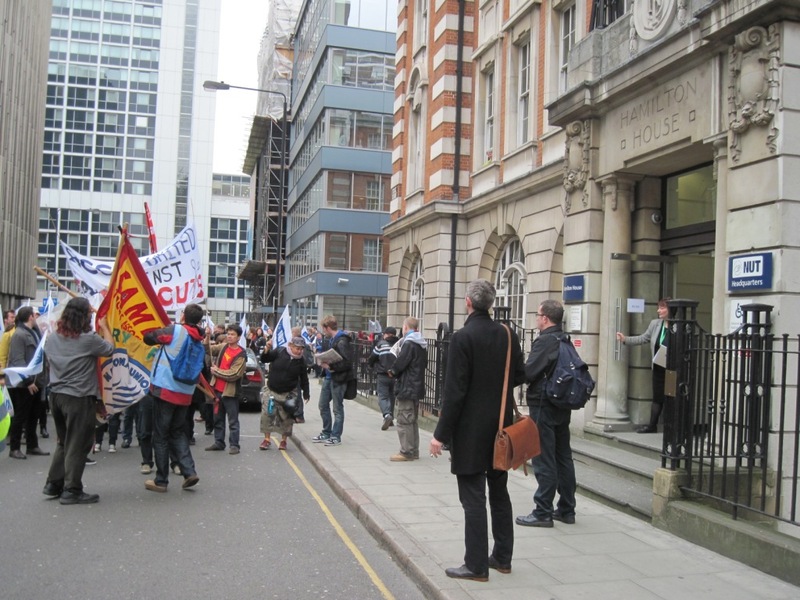 This Government may have thought that they were going to get away with their attacks, but now the unions are on the move. 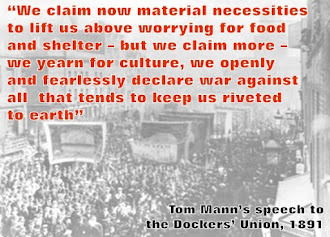 We have to use our strength to build united action - and press on until these cuts are defeated.